Japan saw its first fall in foreign tourist numbers in nearly six years last month after a typhoon and earthquake closed airports, underlining risks to Prime Minister Shinzo Abe's plan to boost the economy by promoting tourism. A total 2.16 million foreigners visited in September, down 5.3 percent from the same period a year earlier, and marking the first year-on-year decline since January 2013, the Japan National Tourism Organization (JNTO) said on Tuesday. 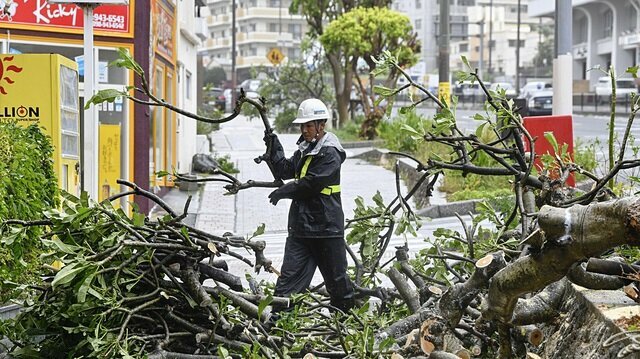 A powerful typhoon hit western Japan in early September, forcing the closure of Kansai International Airport in Osaka for days. The storm was followed by a strong quake on the northern island of Hokkaido, which killed more than 40 people and temporarily shut New Chitose Airport, the main gateway to the island. Besides the airport closures, the natural disasters appear to have frightened off some holiday-makers. "Past trends show that South Korea and Hong Kong tourists are sensitive to disasters," a JNTO official said. "Reopening the airports does not automatically mean they are now set to come like they did last year." Foreign tourism is key to Abe's economic revival plan. The government aims to raise the number of foreign tourists to 40 million by 2020, when Tokyo hosts the Olympic Games, up from 28.7 million in 2017. Average land prices rose for the first time in 27 years in the year to July 1 as an influx of foreign visitors boosted demand for property for hotels and shops.